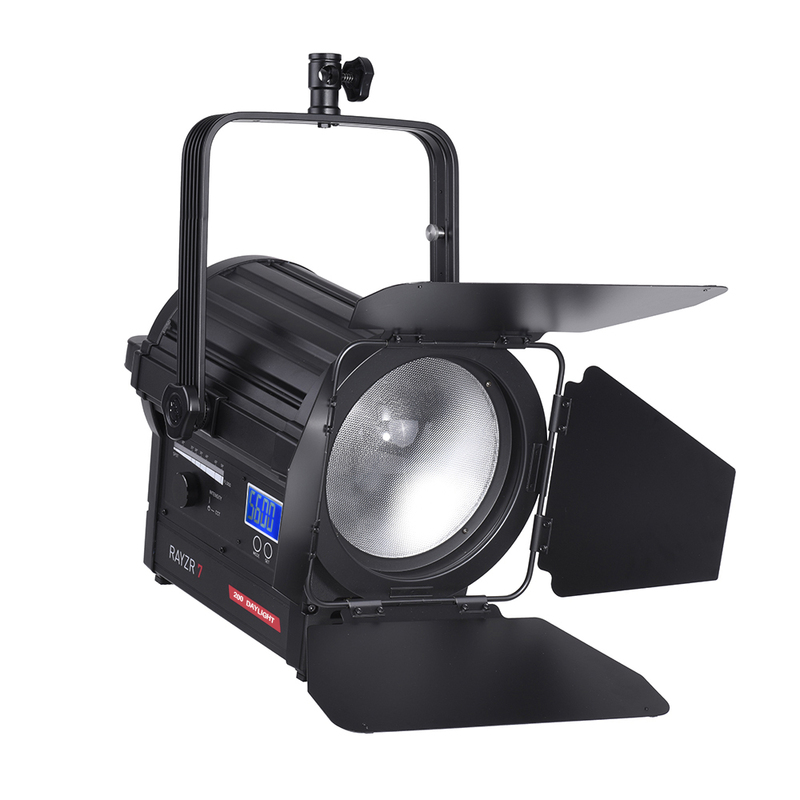 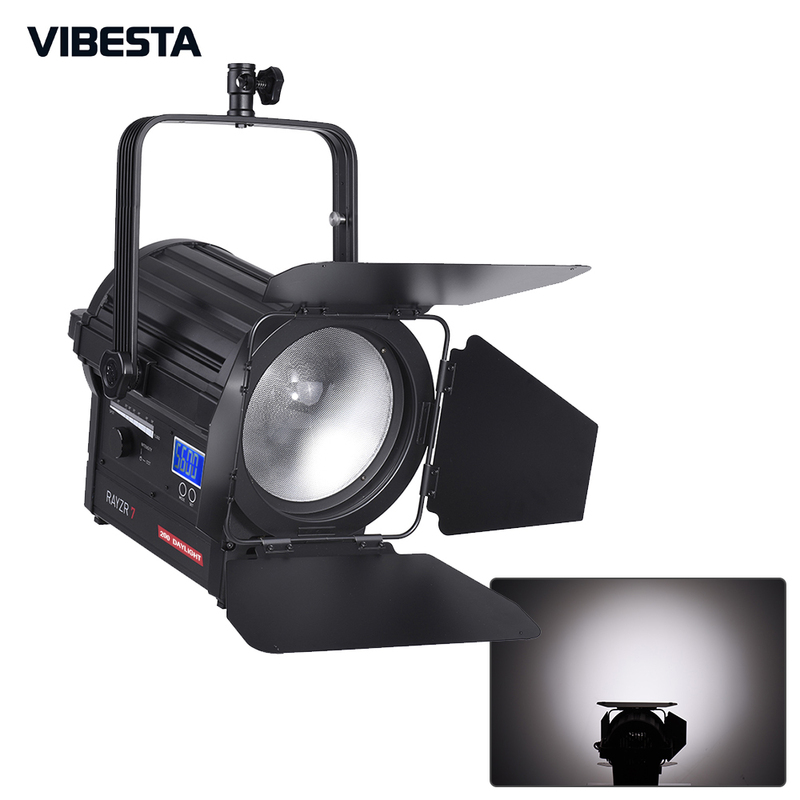 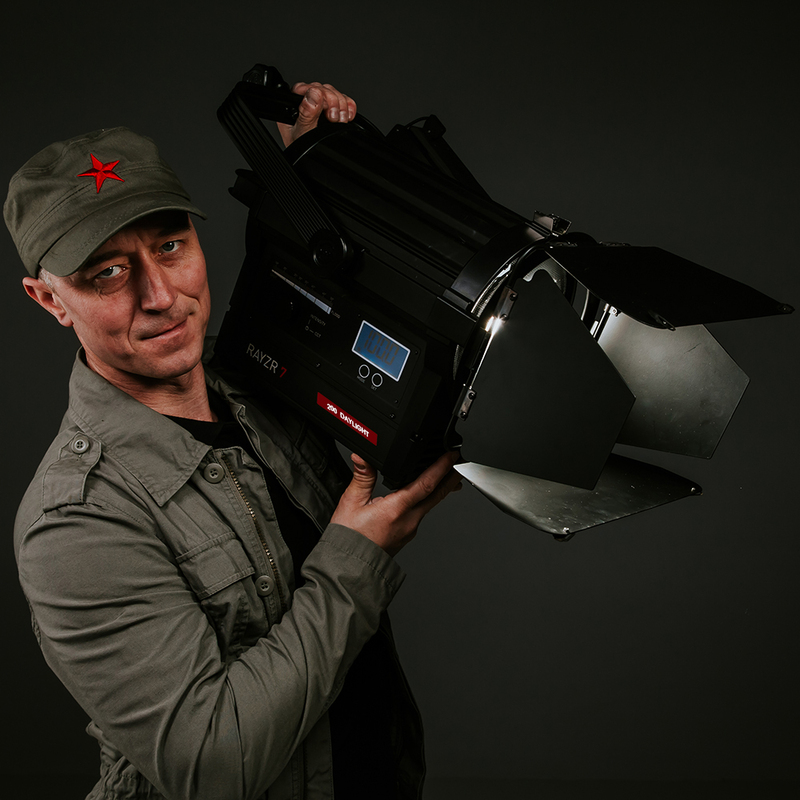 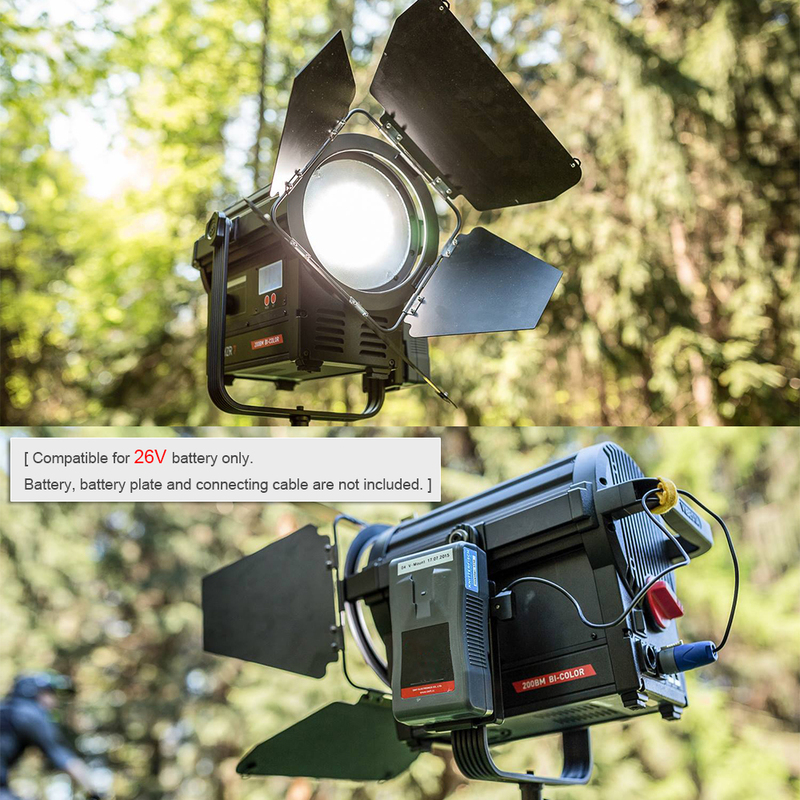 Vibesta Rayzr 7-200 200W LED daylight is newly designed for professional movie makers. 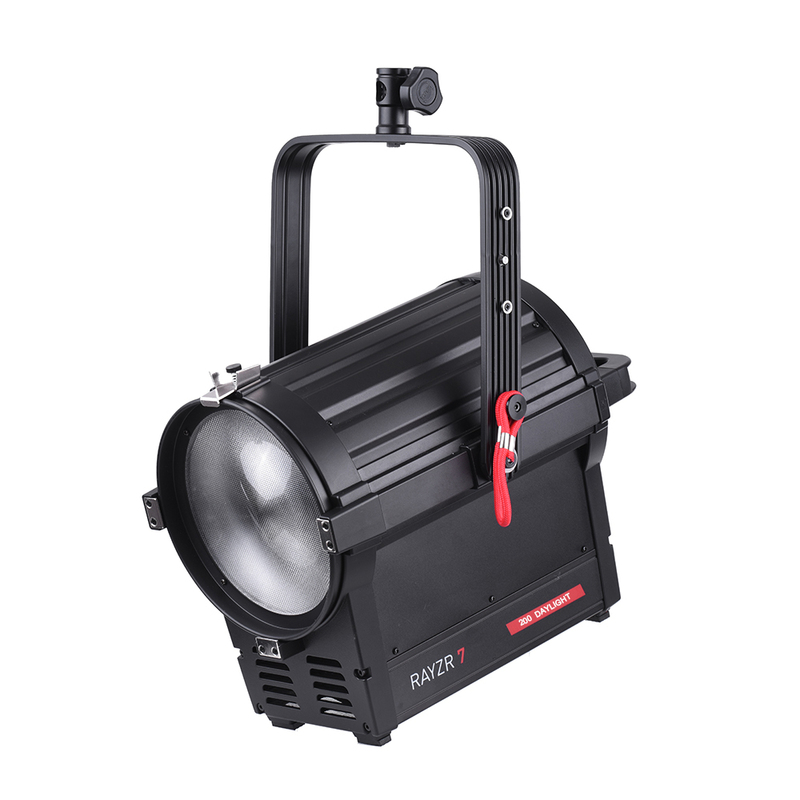 It is smaller and lighter, but brighter. 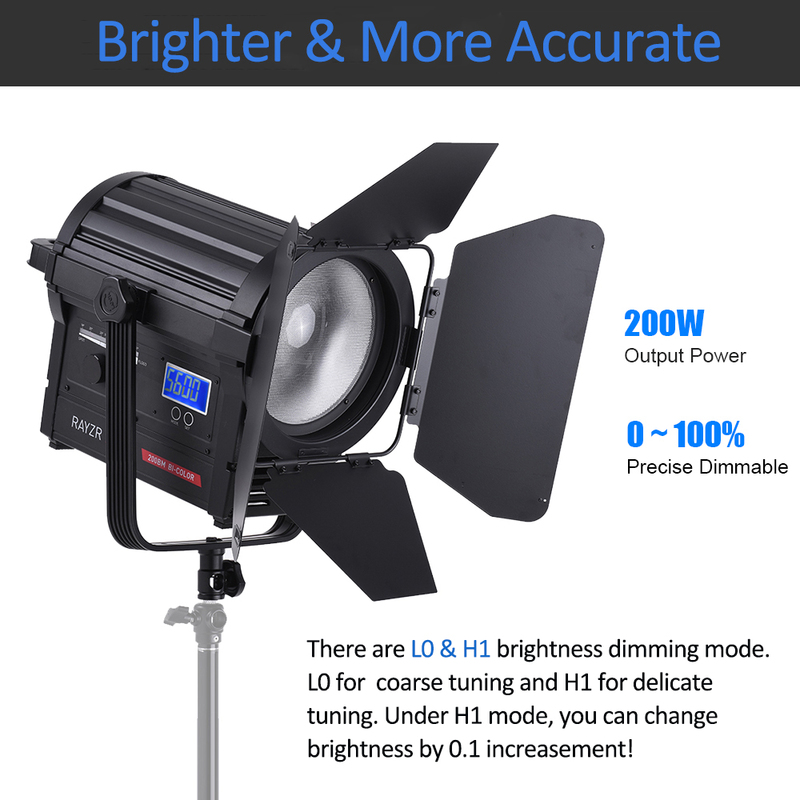 5600K color temp., TLCI up to 98, CRI92 ~ 96, focusable, dimmable, advanced vapor cooling system, 50,000hrs long life...All these together making it an ideal light to distinct your main subject! 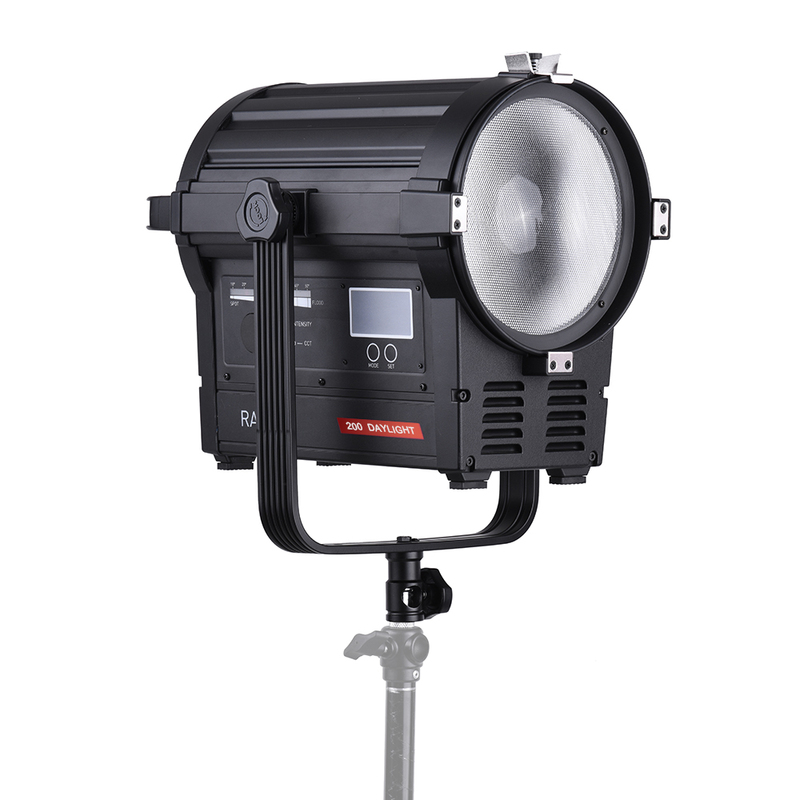 200w super high output power, as bright as 1.2K traditional dysprosium lamp; weight 6.8kg/15Lbs, smaller! 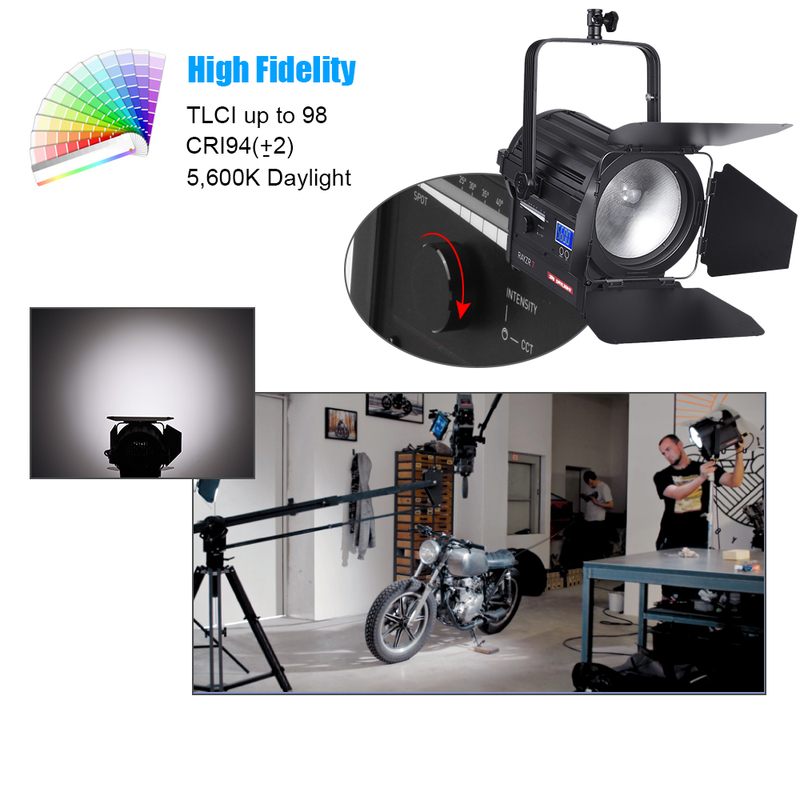 5600K daylight, TLCI up to 98, CRI 92 ~ 96, present the most natural color. 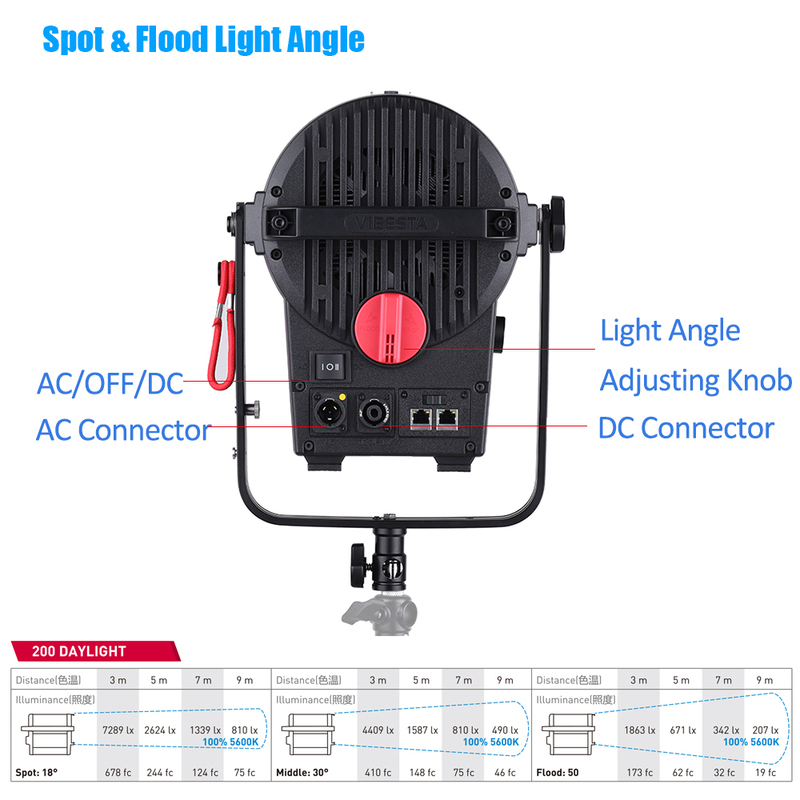 You can change the light angle between 18 ~ 50°, brightness from 0 to 100.0%, comes with detachable 4-leaf barn door to control lighting direction. 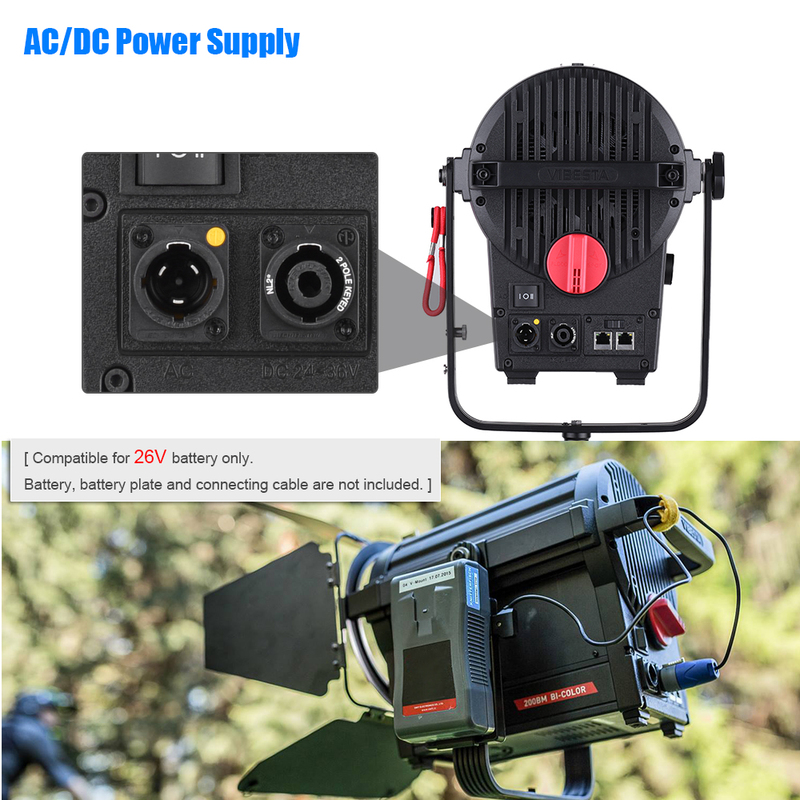 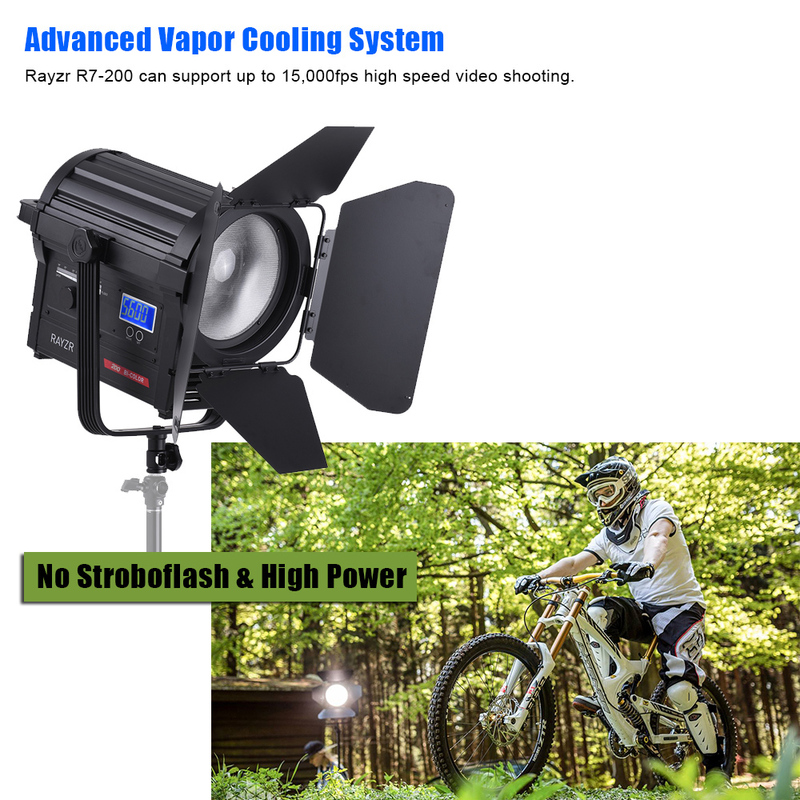 No stroboflash light source can support up to 15,000fps high speed video shooting, with advanced vapor cooling system. 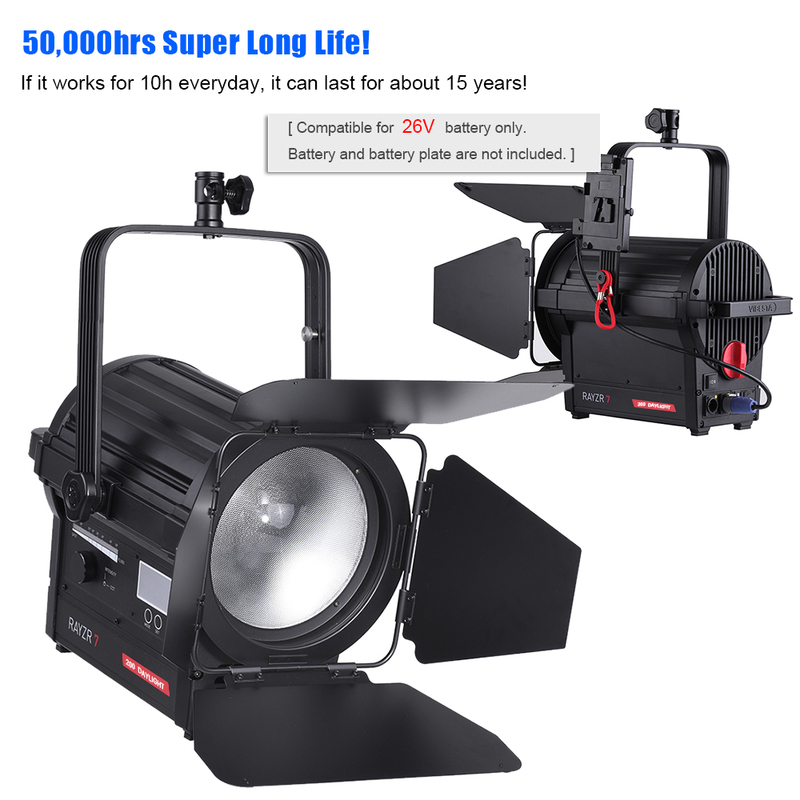 50,000hrs super long life, estimated life 15 years if work 10h per day. 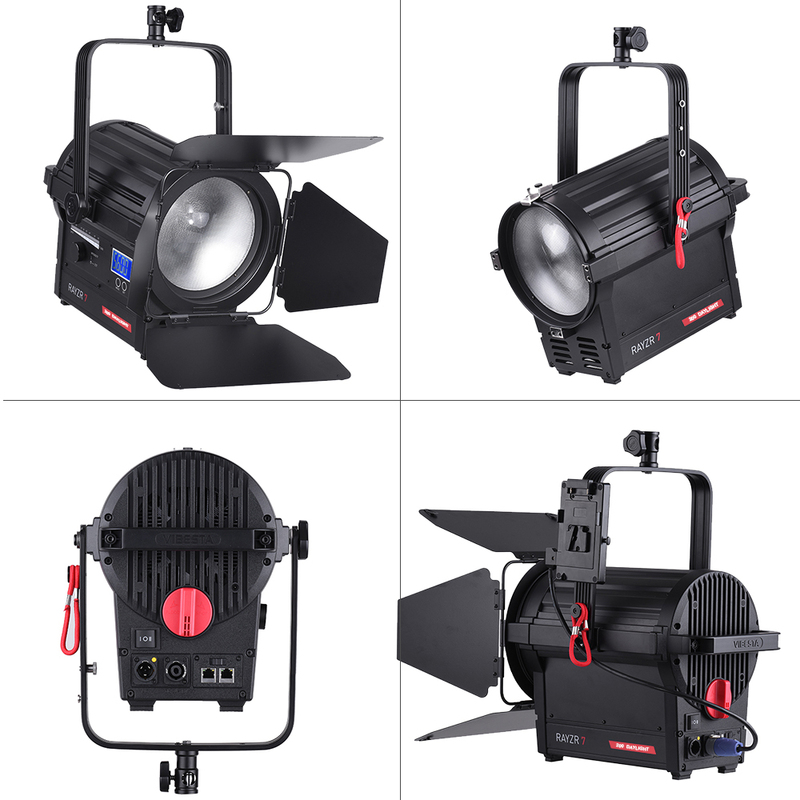 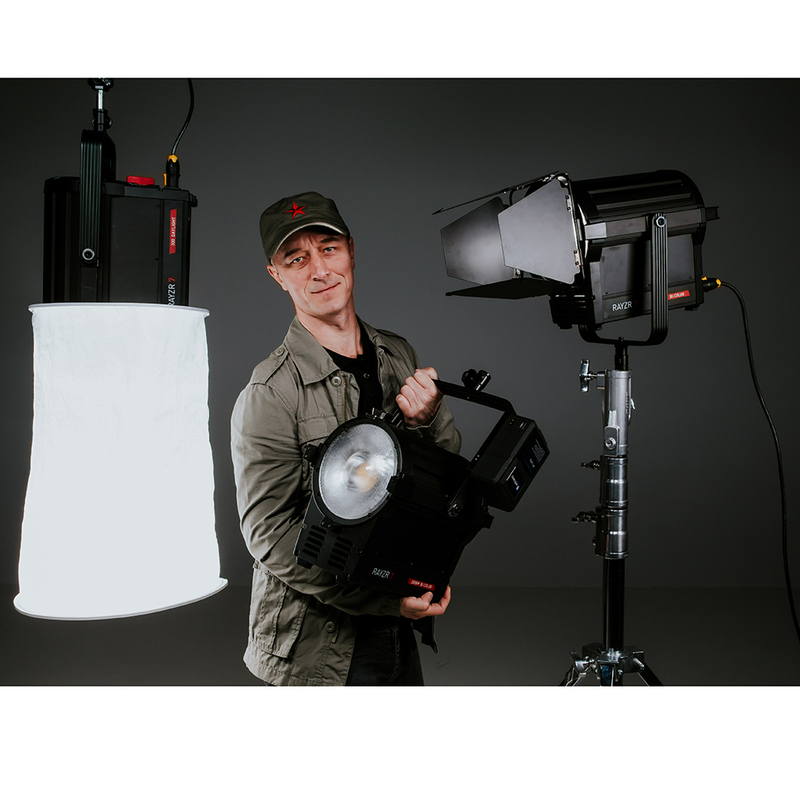 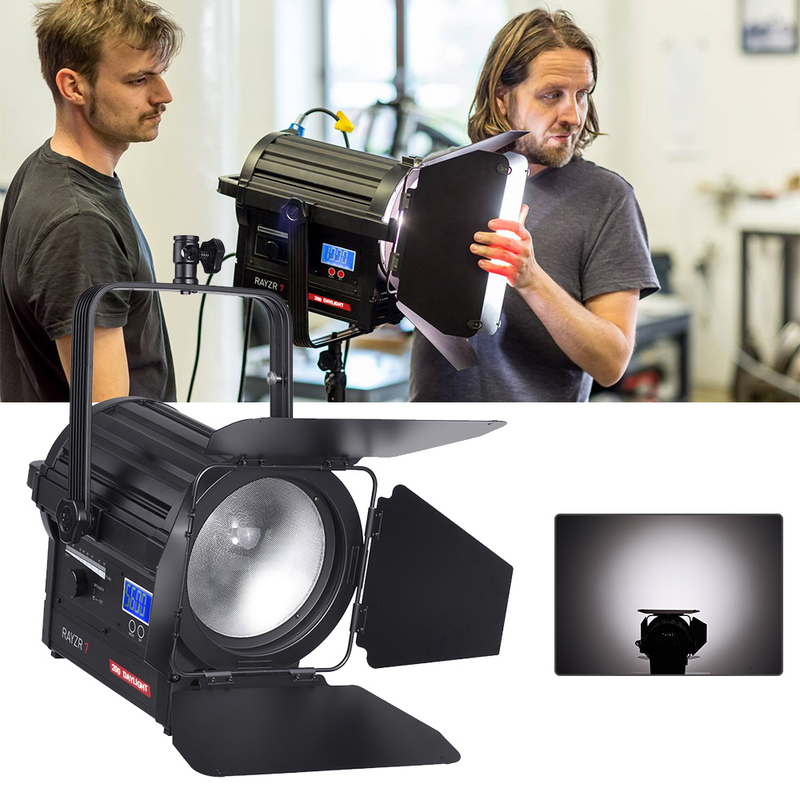 Great light source for movie and television media, filming, interview, studio, distinct your main object! 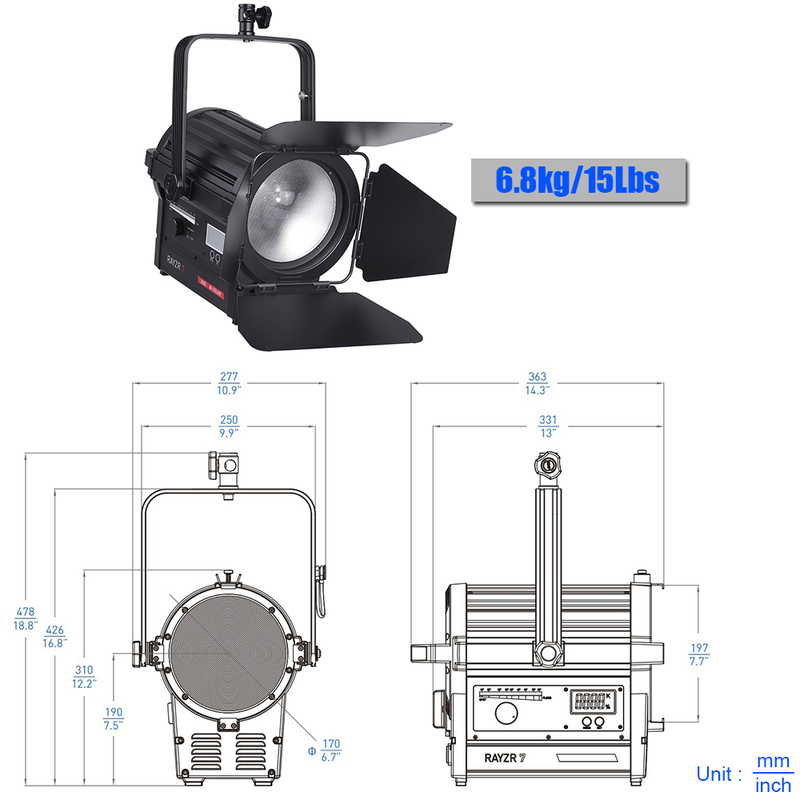 Lens Diameter: 170mm / 6.7"